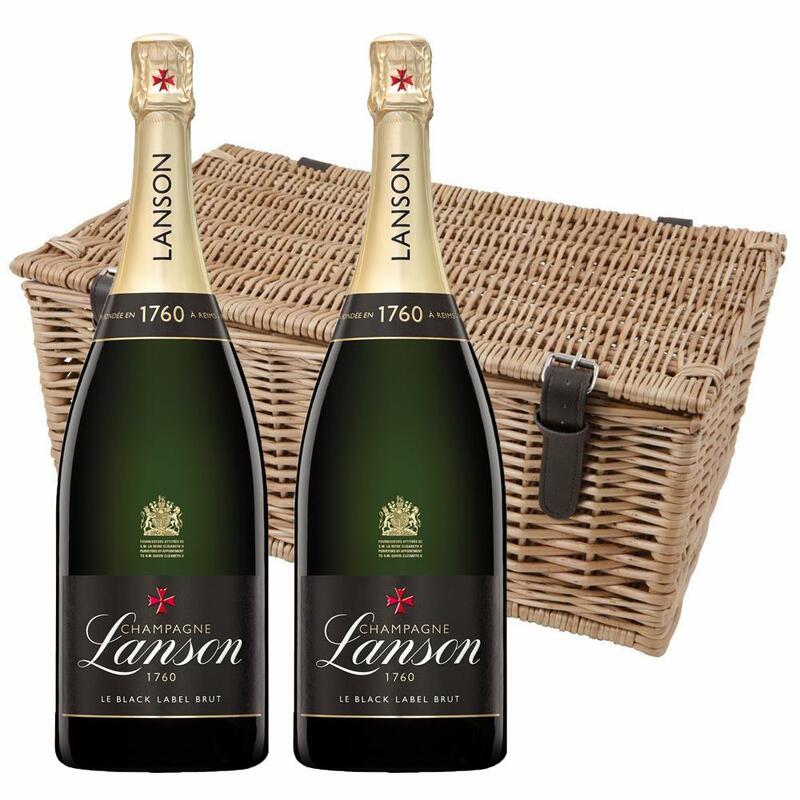 This Duo Magnum Hamper comes with two of Magnum of Lanson Black Label 150cl packed together in a medium wicker basket with faux leather fittings and cut out handle either end. This wicker hamper is made from top quality autumn willow with natural boiled finish to give a luxury finish. A MAGNUM OF LANSON BLACK LABEL CHAMPAGNE 1.5L If there is one Non-Vintage Brut champagne that is universally appreciated it is surely Lanson Black Label a great classic that embodies the ideas and the character of a great House.A quality Champagne loved the world over and is a showcase for the ideas and character of those making it. Three grape varieties come into making of Lanson Brut: Pinot Noir and Pinot Meunier (black grapes) and Chardonnay (white grapes). Sending a bottle Lanson Champagne makes any gift feel special.